Many people probably wonder what some of the structures are around the city that the city has for pumping sewage or rain water. 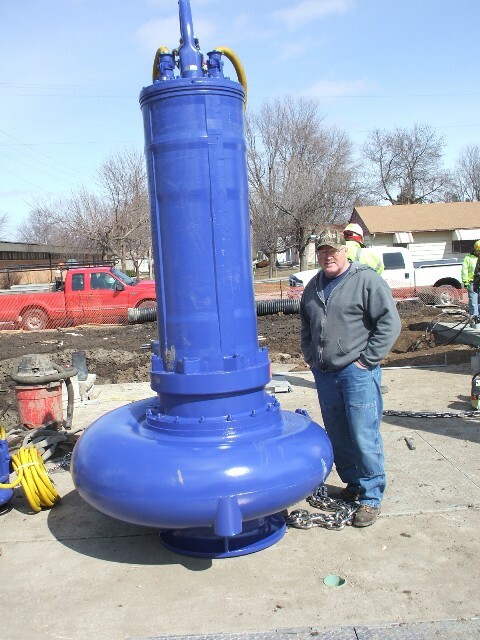 If you pay attention to places where you see green or brown hatches or pipes sticking out of a cement pad that is more then likely one of the twenty-three sewage lift station . If you notice a block building that is more than likely one of four storm lift station but we also have some lifts that are totally under the surface of the ground. 1. Canary Drive sanitary lift station 1730 Canary Dr.
6. Fountain St. sanitary lift station 1217 Fountain St.
7. Garfield sanitary lift station 1604 Garfield Ave.
8. Hale Dr. sanitary lift station 410 Quisley St.
9. Hayek Field sanitary lift station 1102 W. Main St.
10. Lakewood sanitary lift station 1121 Lakewood Ave.
11. Milo and 19th St. sanitary lift station 701 19th St.
12. Morin Park sanitary lift station 312 W. Main St.
13. Oakwood sanitary lift station 1501 Wedge St.
14. Pear1 St. sanitary lift station 216 E. Pearl St.
15. Plainview sanitary lift station 1013 Plainview Ln. 17. Sixth and St. John sanitary lift station 405 E. Sixth St.
19. So. Shore Dr. sanitary lift station 2414 So. Shore Dr.
21. Waldorf sanitary lift station 1823 Waldorf Rd.